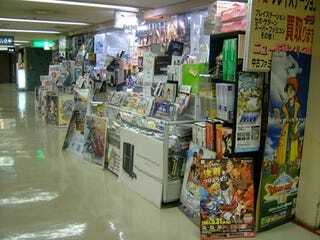 Japan's Top Ten "Crap Games of the Retail Shop"
One game shop has listed the top ten letdowns of 2009. The retailer isn't talking about the buggiest or worst titles, but rather, the games that didn't do as expected. In short, this is a list of titles that fell short sales-wise. Retail expectations were high, but the game got off to a slow start and never fully recovered. The title also was thought to have brisk sales, but apparently, they've been horrible. Dragon Ball just doesn't folks excited anymore, it seems. "This is the beginning of the end for the Musou mythos LOL"
Since it is a marquee Sony title, expectations were high, but the game ended up being sold at a loss. Sales are moving exceedingly slow. In particular, the DS version is not doing well — the retailer is praying for strong end of year sales. Don't give up on this game just yet, but currently it is not doing so hot. Inventory is not moving and is taking up lots of space. As with some of the other titles, expectations were high. But Capcom's "fraud-like shipping methods" meant that the game was sold in the red and to make a profit, retailers had to sell something like 50 copies of the game to make a mere US$45. "It got ridiculous!" "This game was gobbled up by Dragon Quest." The retail also calls Square Enix's promotion "weak" as well and just got lost in the shuffle. Way lost.